I need to reference a cleaning book or laundry book now and then as part of running my home. Here are my recommendations of good ones, and you can share your own reviews too. As you may know I have several sections on my website that deal with cleaning and laundry, including house cleaning tips, how to clean things, homemade cleaners recipes, and laundry tips. These areas of the site are meant as references for you, to help you with taking care of your home and clothing. However, as thorough as I try to be I know I cannot cover every cleaning or laundry situation that comes up. In addition, I find that there are times when more than one perspective is really helpful on an issue. That is why I like to read cleaning and laundry books. I know, that may sound strange to you, but hey, it's something I enjoy. I want to write full reviews of several books later, but I will recommend two now, even before writing the full book reviews. The second book I recommend is a laundry book by Cheryl Mendelson entitled Laundry: The Home Comforts Book of Caring for Clothes and Linens . I also own this book, and it is a great reference guide for knowing how to care for all types of fabrics. 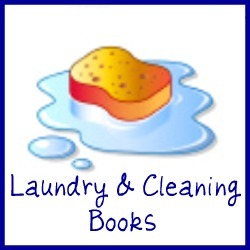 In addition to my reviews and recommendations, I would love to hear about books about cleaning or laundry that you have found helpful. If you have a book to recommend please share it with me below. Have you read a book about cleaning your home or laundry that you thought was really helpful or informative for you in your role as a home manager, and would recommend that others read it too?